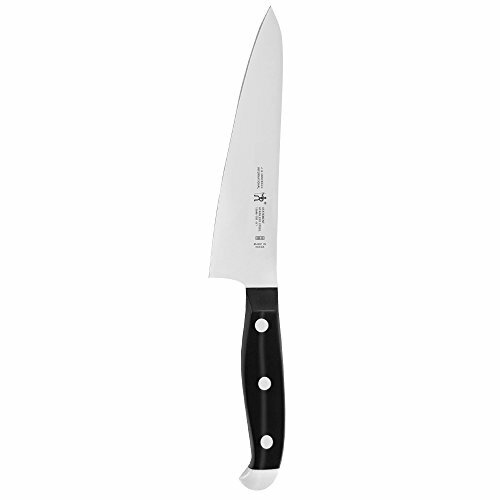 The Henckels International Statement 5.5" Prep Knife handily tackles kitchen tasks with ease. 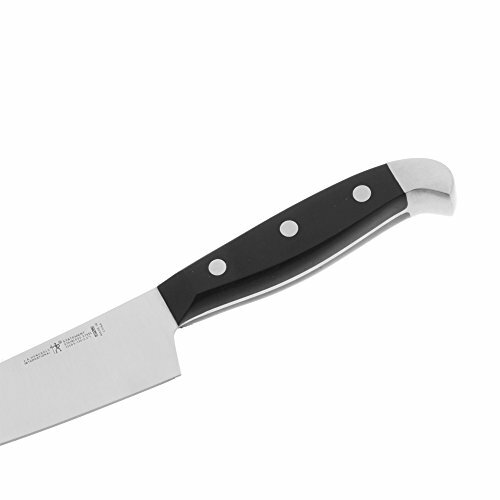 Honed for long-lasting sharpness, the fine-edge blade boasts precision cutting. With this versatile, new blade shape, you can confidently chop vegetables and fruit, slice meats and cheese, butterfly chicken breasts and so much more. This innovative blade design allows for ample knuckle clearance for cutting board work yet is small enough for in-hand tasks such as peeling and trimming apples and potatoes. Fabricated from durable, high-quality stainless steel, Statement's single-piece, stamped blade construction is lighter than forged knives. Along with the full tang, this encourages maximum maneuverability. The traditional triple-rivet handles are curved for comfort and balance while the stainless steel endcap adds aesthetic appeal to your block display. Each time you cook, you will want to reach for this useful knife set. Henckels International makes essential kitchen tools every home chef needs. 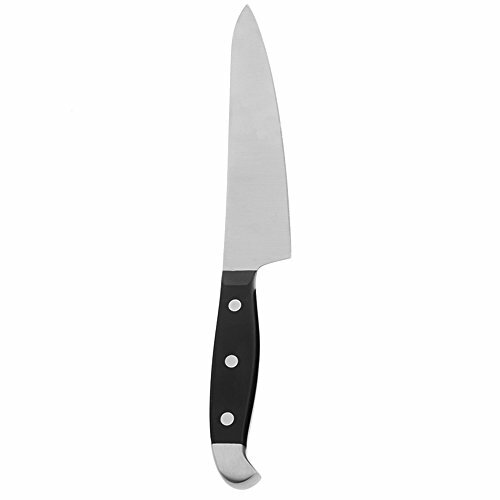 From steak knives to spatulas, each product boasts high quality at an exceptional value. Created in 1895 by Zwilling J.A. Henckels, this value-driven brand guarantees the same durability, design and ease of use for which the global company is known. Equip your kitchen with expertise with Henckels International.